Track Kit for Track with Concrete Ties. 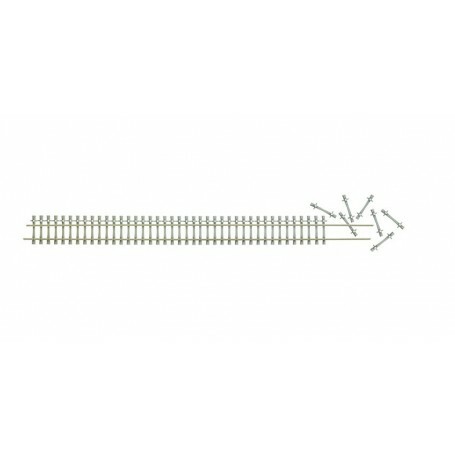 Kit for track with concrete ties (H1027-2). Kit for prototypical modelling of track with concrete ties. Contents: 2 rails 900 mm / 35-7/16' long made of nickel silver, 48 concrete ties made of plastic, and 6 rail joiners.